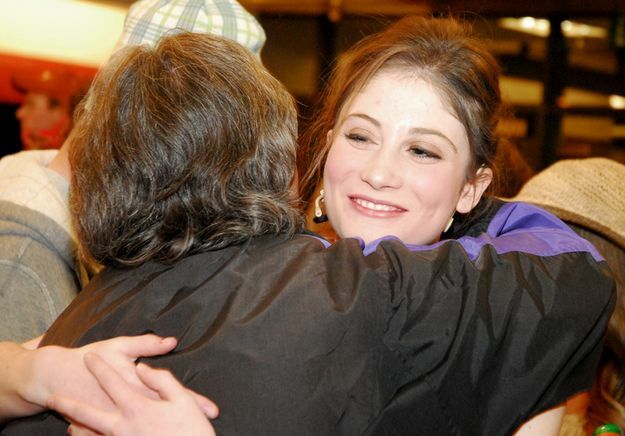 Lizzy Cooney gets a hug from Julie Konicek after the first-night’s show. All of the cast and crew members greeted the audience in the lobby at the conclusion of the performance. Photo by Janet Montgomery.